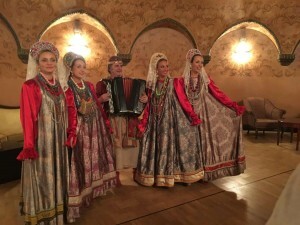 Are you thinking about a Russia Holiday? 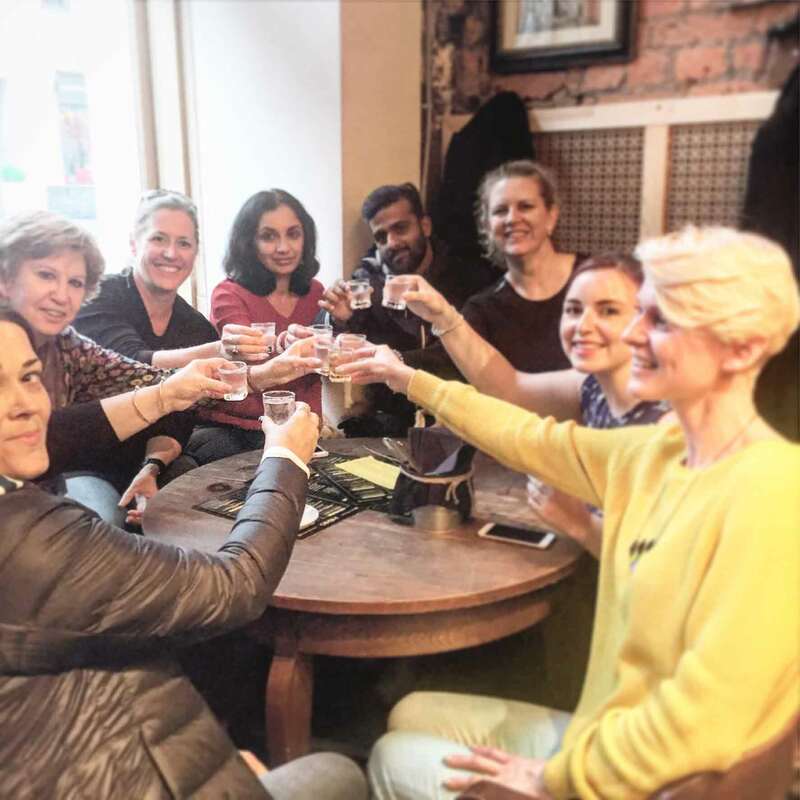 Recently, one of Estours Travel consultants was lucky enough to be the only one in the office with plans that could be changed, a valid passport and be able to jet off to Russia on a CT Partners familiarisation inspection. 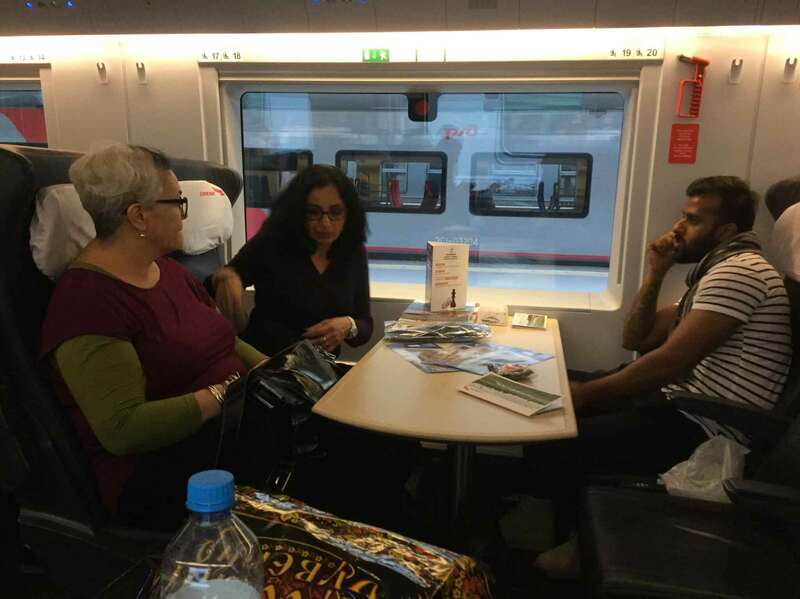 If you are contemplating a journey to Russia, here is what you might expect. This is her story ……. 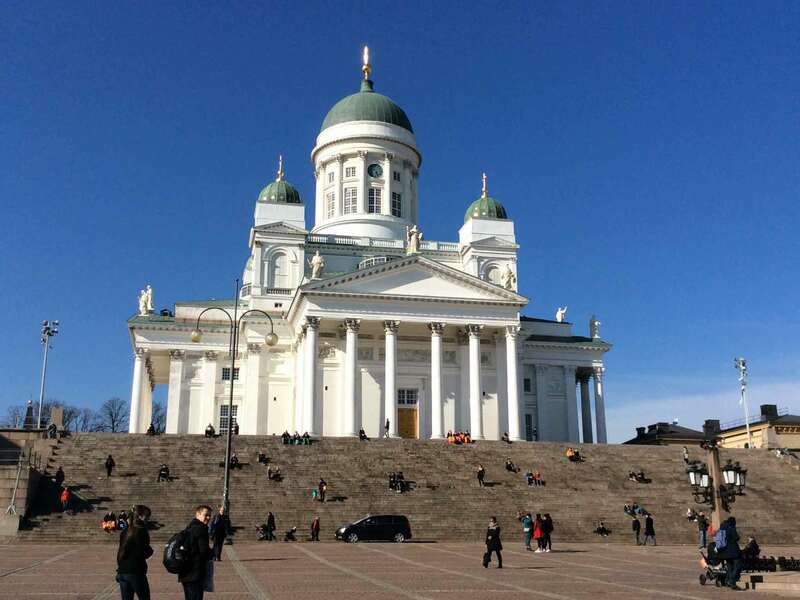 Courtesy of Finnair – partnering with Cathay Pacific we were lucky enough to fly Business class from Hong Kong to Helsinki in both directions on the new A350 wide body airbus. 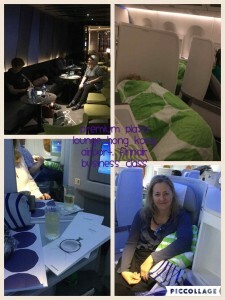 Needless to say, Business class with the flat seats was amazing. For longer stops in Hong Kong, we used the Plaza Premium lounge, which can be pre-purchased prior to arrival. It is a quiet area to sit and relax, have a shower, or some light snacks or drinks, away from the busyness of the airport terminal. With visits to the Finnair Business class lounge in Helsinki topping off the experience. There is plenty of legroom in economy, but for the extra comfort, book the comfort economy seats- first 5 rows for an additional fee, it is a great option, with additional legroom and recline. Our first destination was St Petersburg, the “Cultural Capital” of Russia. 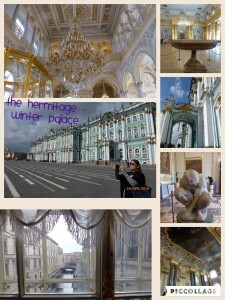 St Petersburg is a mass of pastel coloured buildings and Palaces. We were hosted by World Hotels and we stayed at the Angleterre hotel with views over St Issacs Cathedral. 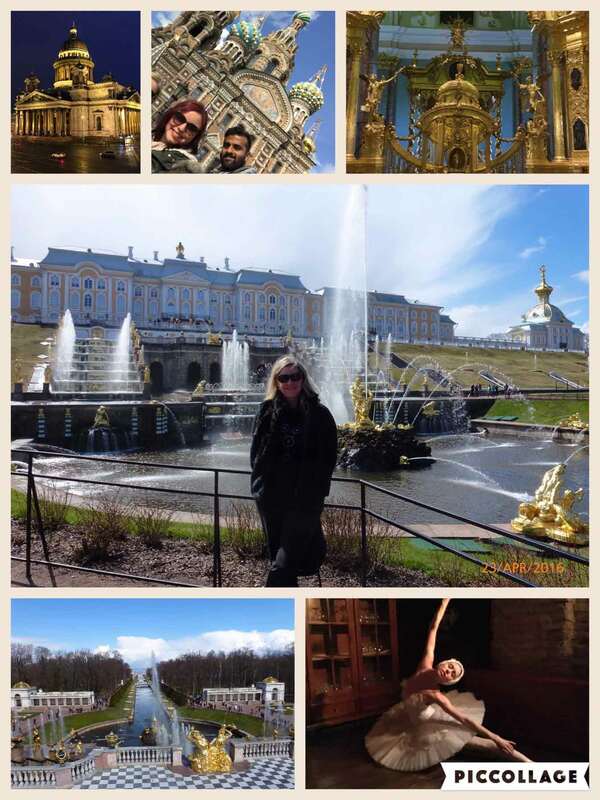 Russkie Prostori, the ground operators in St Petersburg, spoilt us with tours to the Peterhof Palace, The Hermitage Museum, Peter and Pauls Fortress just to name a few. We were also treated to dinner at the Amphir Restaurant in a room that looked like it was set for Royalty. One of the highlights was when we were taken down to the wine cellar for a surprise ballet performance from Swan Lake- such a memorable and special moment. Overall, St Petersburg is picturesque on a grand scale and to get the most out of your time, ensure you have a guide and comfortable walking shoes. On arrival into Moscow we stayed at the Petrov Palace Hotel. It was a quick visit but during our site inspection the following morning, we were impressed by what was on offer- especially the spa pool. If you don’t want to stay in the heart of Moscow, then the Petrov Palace is a great option which is walking distance to a metro station to get them around to the sights. 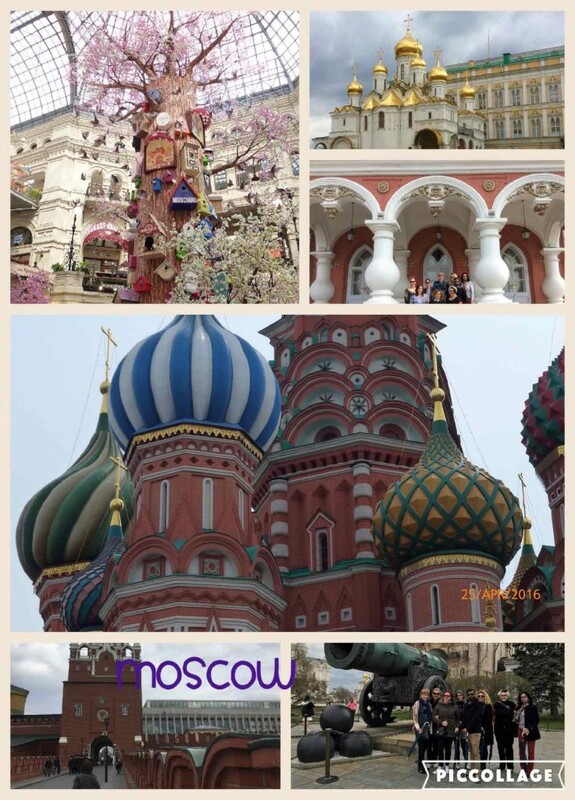 We were met at the hotel by our guide who took us on a city tour of Moscow. Wow, Moscow is home to over 22 million people and is enormous in size, and it takes time to navigate this city and its sights. We visited Red Square with the infamous St Basel cathedral, the Kremlin, and a river cruise on our last afternoon. 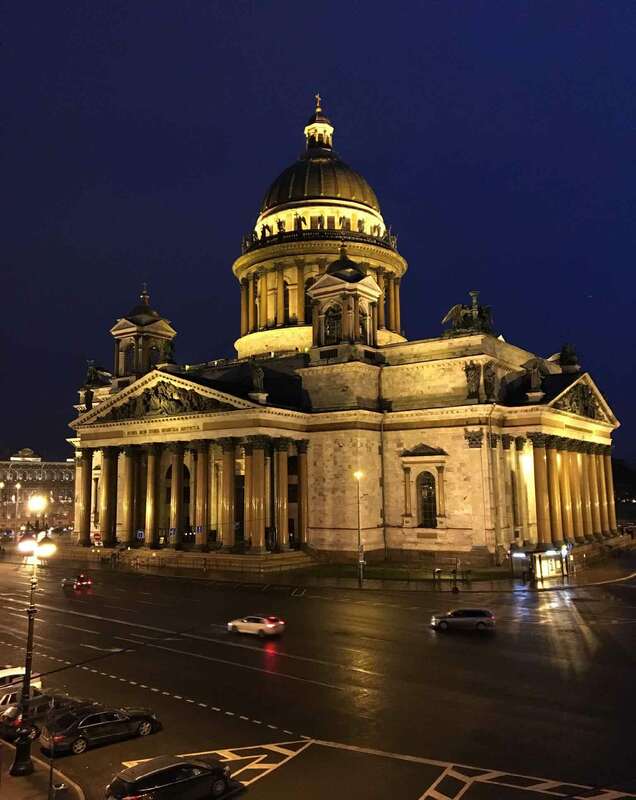 Our hotel was the amazing heritage hotel- The Metropol, located an easy five minute stroll to Red Square, Gum shopping centre, and the grounds of the Kremlin. If you have the extra budget it is well worth upgrading your rooms to the suites. Quite possibly the best hotel I have ever stayed in, with luxurious beds, views over the Bolshoi Theatre, harpists at breakfast with your champagne, what more do you need. 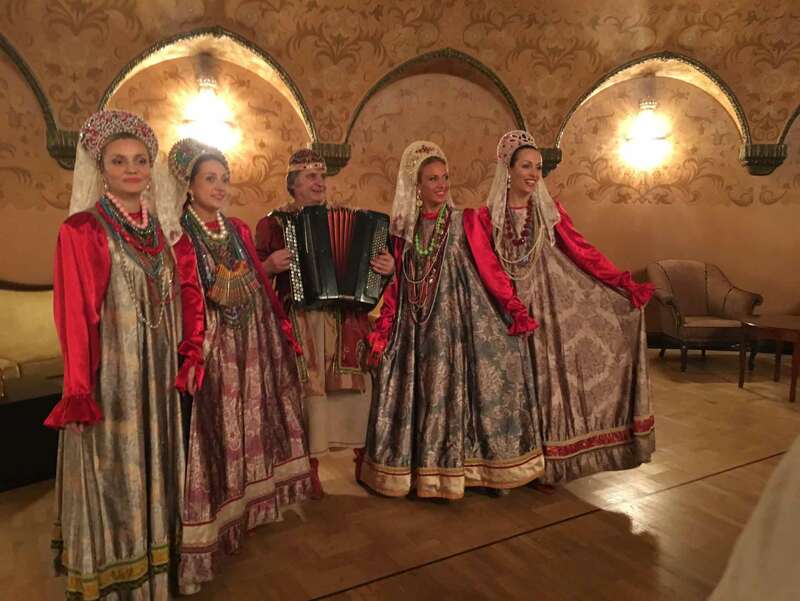 The Metropol surprised us with a lovely dinner in a private dining room with local cuisine and a traditional Russian song and dance performance. What trip to Russia is not complete without a “last hoorah” at our WH rep friends local bar for Vodka !!!!!! It topped off an amazing trip with a wonderful group, to a destination I really knew little about and one I was unsure of what to expect. With a long transit on our return trip in Helsinki, we made a very easy trip into Helsinki on the train from the airport terminal. For 5 Euro and half an hour of travel time we were in the centre of Helsinki, where we could wander very easily through the picturesque streets before our flight home. The hassle and time to get the visa for Russia is worth the effort. Whatever time you think you need, it will probably still not be enough. Be smart with the time you have and get a guide- it will make your trip. Don’t try and do too much in one day without training and comfortable shoes, you are walking long distances through museums, palaces and city streets. If you like hotels that are not just your four walls and minimalist décor and love the warmth of heritage style buildings, then look up World Hotels website for their property lists in cities around the world and we can book for you. Finnair is a cost effective means of getting there and several other destinations around Europe. After selling Finnair for so many years, it was fantastic to experience their service and aircraft and have no hesitation in continuing to recommend them to our clients.